Dhaka – Prime Minister Sheikh Hasina has asked the armed forces for enhanced contribution in democratic and constitution stability in Bangladesh, which experienced extra-constitutional means of grabbing state power in the past. Referring to the armed forces’ glorious roles in global peacekeeping operations that raised the country’s image internationally, the Prime Minister expected more to be delivered by them for national progress. 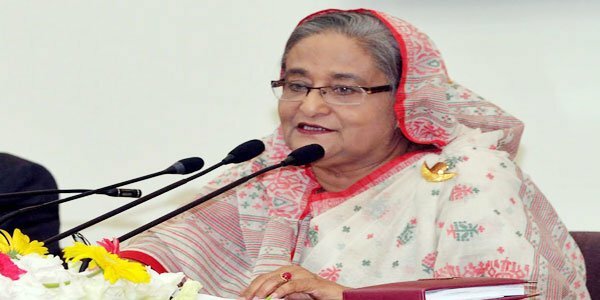 Hasina made the call Thursday while addressing the graduation ceremony of the of Defence Services Command and Staff College (DSCSC) 2018-2019 Course” at Dhaka’s Mirpur Cantonment. “They will have to play an important role in progress of the nation and maintaining democratic and constitutional stability so that we could take forward the country’s development spree,” the Prime Minister said. State-run Bangladesh Sangbad Sangstha news agency reported that the premier said the members of the patriotic Armed Forces have also been contributing to the fields of tackling crisis and disasters, construction of infrastructures, socio-economic development and maintaining law and order among others. Terming the armed forces symbol of the country’s independence and sovereignty, Hasina said their roles have got new dimension in the changing global security scenario. “Keeping this in mind, the Defence Services Command and Staff College has given due importance to this issue in their training syllabi,” she said. She underscored the need for making the training and syllabus time-fitting so that the members of the Armed Forces could move keeping pace with the world. Commandant of the college Major General Md Enayet Ullah delivered the welcome address at the function attended by ministers, advisers to the prime minister, parliament members, acting chief of army staff, chiefs of the Navy and Air Force, principal staff officer of the Armed Forces Division, vice-chancellors of different public and private universities, foreign diplomats and high civil and military officials. The Prime Minister instructed graduating officers to remain prepared for undertaking higher leadership role as well as perform responsibilities with integrity.